Welcome to the August newsletter for Lenscraft members. Heather on the hills in the Peak District. Fuji X-T2, 18-135 lens, ISO200, f/11.0, 1/110". It’s August and the heather is out in the Peak District near to where I live. Traditionally, August has been a quiet month for Lenscraft, which has given me time to make plans. This year it’s no different, although I seem to have more initiatives and improvements already underway than in previous years. Website update to improve the structure and ease of use. New book “Mastering Photoshop Masks” - more on this below. Photoshop Masking video course to compliment the book. Lenscraft Christmas gift (I’m looking for ideas at present if anyone has any suggestions [email protected]). Additional quality articles and tutorials on Lenscraft. I’m keen to keep the subjects for the articles and videos relevant to Lenscraft members. If you find you struggle with an aspect of photography or image editing, or if you want to know more about a subject, please let me know. I may be able to publish an article or video to help. Creating and refining Channel Masks. Generating and using Luminosity Masks. As well as a host of other selection and refinement techniques. The first draft of the book is now complete and I can promise you that the material will be easy to understand and apply. It will also include a full-length example in which the image you see on the cover is produced. I hope to release the book in late September on Amazon. I recently made further speed improvements to the Lenscraft website. Some regions of the world are now benefiting sub 1 second load times. Unfortunately, there is variation depending on your country and the level of demand at the time of day. I would love to fix this today but it will require quite a lot of additional investment that I can’t yet make. There are though more improvements yet to come. 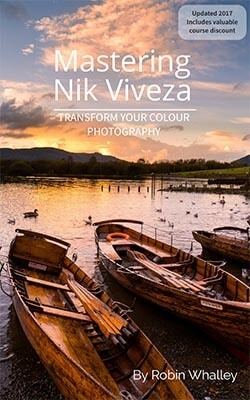 Thousands of you have now benefited from my free Nik Viveza book offer which ended on the 1/8. If you purchased my previous book from Amazon and didn’t claim this update, let me know using [email protected]. I have decided to allow the Lenscraft members discount for the video course to run for at least another month. All discount codes are found on the Members Discounts page of Lenscraft. 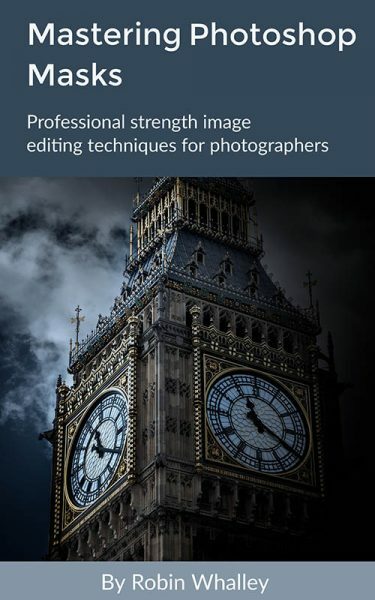 You can also find details of my back catalogue of books here (https://lenscraft.co.uk/learn-photo-editing-books/). I would like to say a special thanks to Richard Fee and Geoff Hodgins for sharing their Camera profiles. These have now been added to the Lenscraft Camera Profile for download. These introduce profiles for several Fuji, Panasonic and Olympus cameras. If anyone reading this has created camera and printer profiles they would be willing to share with Lenscraft Members, please let me know ([email protected]). I have two club presentations coming up in September. The first is at York Photographic Society on the 20th September and the second is at Macclesfield Camera Club on the 25th September. I will be presenting my approach to Landscape Photography with examples of my work, prints and full-length editing demonstrations using the Nik Collection. If anyone would like details, please contact the clubs directly using the website links above.